A few weeks ago, I had the great pleasure of being the photographer for a mini-session day at Travis Creek Farm in Greenwood, IN. The day was beautiful and although I was a bit concerned about light being high over head, the fact that it was mid-October helped me relax and know that mid-to-late afternoon light was going to be beautiful. One of my clients from this day was Bridget T. She has a great love of horses and began riding as an adult. Her lovely gelding is an Off Track Thoroughbred (OTTB) named Buddy, who was patient and kind throughout the portrait session. Enjoy! Seven years ago, I started volunteering for an organization called Friends of Ferdinand Inc. (FFI). 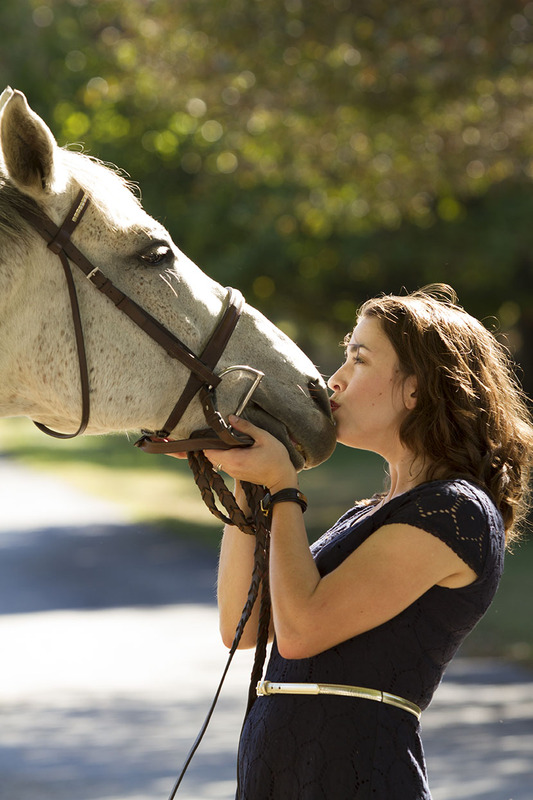 They specialize in transitioning Thoroughbred ex-racehorses from the track to new careers. I was one of the lucky folks that got to help retrain these horses during their transition time. Through my involvement, I met a nice couple, the Carters, who adopted one of the first horses FFI took in to their program. The Carters had adopted a big, lanky Thoroughbred gelding named Swift Road. Swifty had some race injuries and no one thought he would last too long. But here we are...seven years later and Swifty is still around. Fast forward to this summer when I donated a private farm session to a fundraiser that would benefit Friends of Ferdinand Inc. The Carters were the winning bidders. They really wanted to capture photos of two of their five horses. However, the evening light at their farm was magical and we were able to get all five included. Here are a few of my favorite images from their session. On Saturday, June 13, I was lucky enough to get to spend the day in Bloomington, IN at Persimmon Ridge Farm. There were a group of ladies down there who wanted portraits with their horses. We set up a mini-session day, which is a great way to help share the expense and time of a traditional portrait session. Persimmon Ridge is located on the southwest side of Bloomington. Its winding driveway, wood fencing, cedar-sided barn, ample trees and pond provide a beautiful backdrop for photo sessions. Be sure to contact me if you're interested in a mini session at your farm. I'm currently booking dates in July, August and September. Gorgeous light and beautiful subjects create spectacular images. Its hard to go wrong with these two! Its clear to see the adoration Katie has for her gelding Duke. And here, he returns the love. I love it when clients bring their dogs for a mini session too. Kathy added her two Great Pyrenees dogs, George and Strider to the farm's gorgeous setting to create lasting memories. If you've spent any time around horses, you know that for as large as they are, they sure are delicate. This is Hudson, Kathy's gelding who has been battling EPM on and off since January 2014. These two beauties are Amy and Cora. I first met Amy during a portrait session a couple years back with a previous horse. Cora is a Thoroughbred mare (if you know me, you know TB mares are my favorites!) who has found her forever home with Amy. This gorgeous girl is Mo, a registered Quarter Horse mare. She is owned and loved by Chris. Mo just looks stunning on a dark backdrop. And Mo looks stunning on a green backdrop too. Its hard to make a redhead this gorgeous look bad!